Order in next 4 hours and 16 minutes for despatch today. 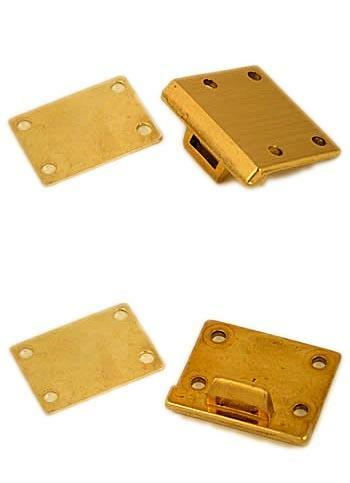 This brass briefcase hasp is an appropriate replacement catch for many briefcase locks, including 3 position locks however, do check dimensions and detail closely, as slight differences in design may mean certain spares won't work with your briefcase. Dimensions 32mm (wide) 28mm (deep). Hole centres (left to right) 23.5mm (top to bottom) 14mm.